Daedalia: Daedalus was a famous inventor, architect, and craftsman. He designed the Labyrith at Knossos (the Minotaur's prison), and the wings that caused the death of his son, Icarus. 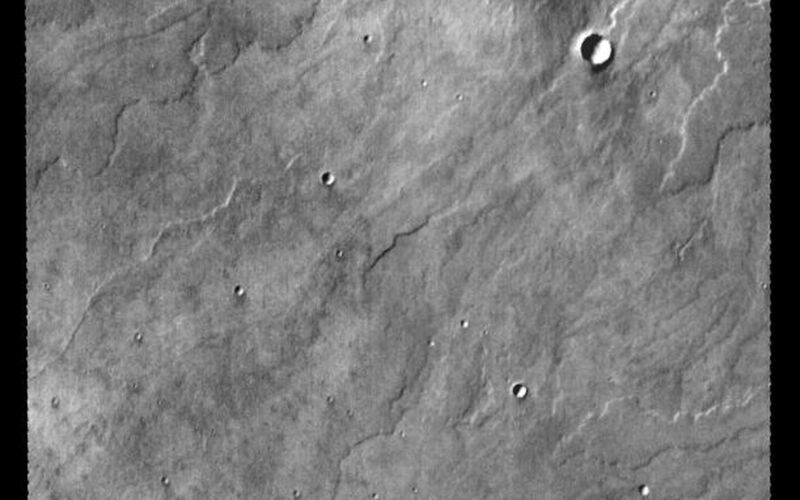 Daedalia Planum is located south of Arsia Mons. Topographically, this area appeares to be a relatively featureless plain (as can be seen in the MOLA context image to the right). However, the daytime IR image shows multiple lava flows and small craters. 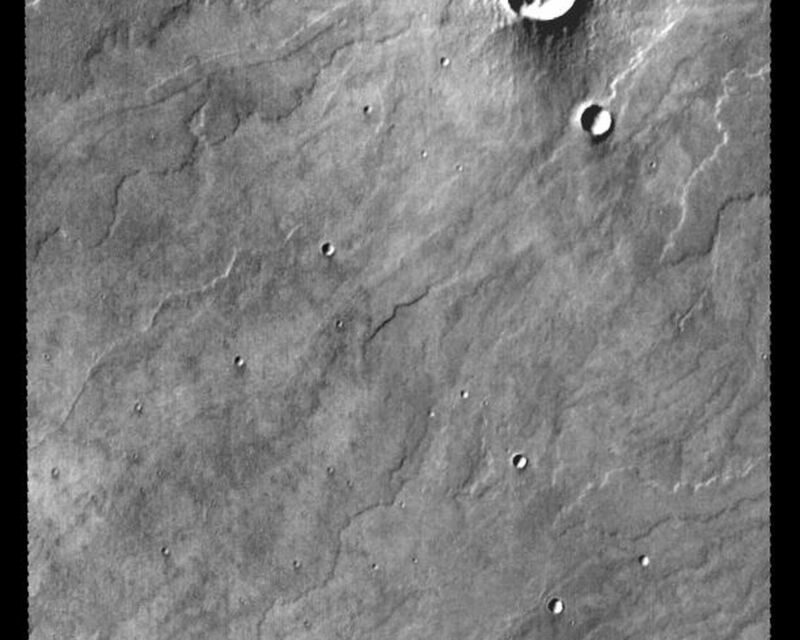 The descriptor "fluctus" may be a better term to use now that we have better images of this region. 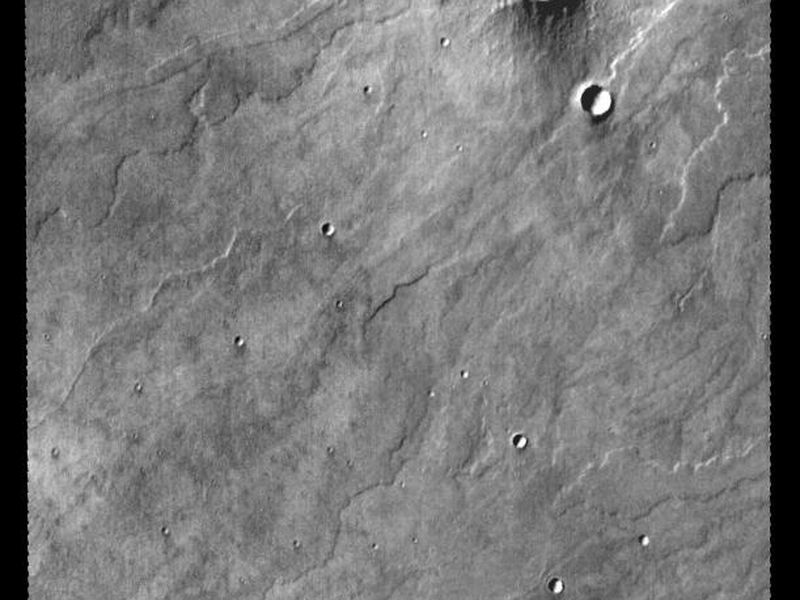 Nomenclature Fact of the Day: Small craters on Mars are named for towns and villages from all over the world with populations less than 100,000. Image information: IR instrument. Latitude -18.4, Longitude 231.9 East (128.1 West). 100 meter/pixel resolution.